Because Congress failed to act, 1.3 million Americans lost a crucial source of income just three days after Christmas. Because Congress failed to act, 1.3 million Americans lost a key source of income just three days after Christmas. The now-expired Emergency Unemployment Compensation program provided unemployment benefits for the long-term jobless after state benefits ran out, usually around twenty-six weeks. The EUC is still sorely needed; even as the economy slowly improves, long-term unemployment remains at its highest level since World War II. While Democrats in the Senate have vowed to make the EUC a top priority in 2014, it’s still unclear whether even a modest three-month extension can pass without considerable public pressure. Join thousands of Nation readers in calling on Congress to extend this crucial lifeline. 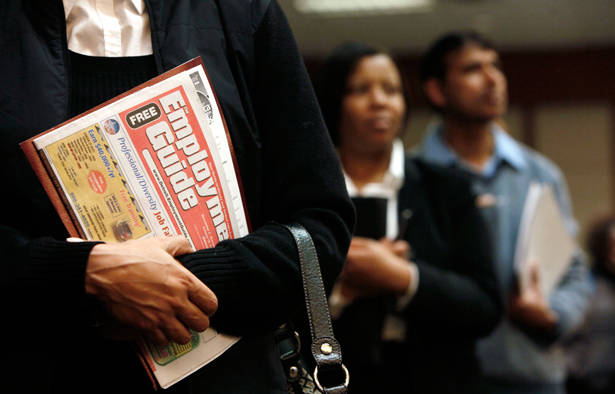 Congress’s refusal to act affects more than just the unemployed. As The Nation’s George Zornick reports, state economies lost more than $400 million in the past week alone thanks to the lapse in benefits. At Democracy Now!, Colorlines contributor Imara Jones debunked dangerous myths regarding unemployment benefits and the unemployed.